One of the substantial concerns in any large scale enterprises is the process of evaluating, selecting and improving suppliers due to the involvement of many uncontrollable and unavoidable factors. To address this issue in industry, suppliers are selected in the context of a resilient supply chain since it is one way to overcome disruptions. Selection of suppliers involves a variety of both qualitative and quantitative attributes. This research proposes the five main criteria of supplier selection which are chosen based on vulnerable areas and production requirements to develop flexibility in procuring material. In order to select appropriate suppliers for optimal order allocation the fuzzy multi-objective linear programming (FMOLP) is proposed which overcomes the vagueness of the information. Also to calculate the importance of each criterion fuzzy analytic hierarchy process (FAHP) is used. Finally, the practical usefulness of the proposed method is ascertained through a case study in steel industry. Supply chain management (SCM) involves a variety of activities such as procurement of material, conversion of raw material into finished goods and distribution of final products to customers. Due to the involvement of many uncontrollable and unanticipated factors, providing raw material and selecting appropriate suppliers play a pivotal role in the SCM. Since supplier selection is the first step of the SCM, it is a vital process affecting the consecutive steps. Selecting the right suppliers will result in reducing operational costs, increasing quality of products, improving the competitiveness in the market and responding to customers’ demands (Abdollahi et al., 2015). Various criteria must be specified and assessed with respect to select suppliers. Therefore, this problem can be considered as a multiple criteria decision making (MCDM) problem. To address this issue, multiple and conflicting criteria should be ranked and evaluated in order to select the best supplier among various candidates (Yu et al., 2013; De Felice & Petrillo, 2013). With regard to complex and dynamic environment of supply chain, disruptions can occur in any part of chain. To mitigate the effect of disruptions in current research, supplier is considered in resilient supply chain. Scholten et al. (2014) defined resilience in supply chain context as an ability of supply chains to respond to unavoidable and unexpected disruptions and also resilience is as adaptive capability to prepare and recover from disruption, comprising horizontal and vertical collaboration, supply chain (re)engineering, flexibility, risk awareness and knowledge management. Lacks of company preparation to deal with inevitable events can seriously damage or delay material, information and cash flows, which can destruct sales, increase costs or both. Resilient supply chain gives organization the ability to get along with threats. Since suppliers play a vital role in supply chain, it should not be vulnerable to different sources of risks. There should be a resilient procurement and operations planning process for suppliers to be able to react to sources of vulnerabilities (Zhang et al., 2009; Whipple & Roh, 2010). Selecting appropriate methods to quantify the benefits of various options becomes a substantial concern for managers. In a real case, decision makers do not have accurate and complete information about decision criteria and constraints. To overcome and handle uncertainty in these cases the theory of fuzzy is considered as one of the best tools. Fuzzy set theories are employed in the supplier selection problem due to the presence of vagueness and inaccuracy of information (Shankar Bagchi & Bhattacharya, 2014). 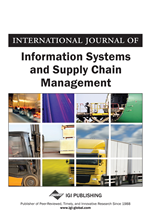 This paper studies the effective criteria of supplier selection based on disruptions for a steel supply chain. The steel industry supply chain can be considered extremely vulnerable on material damage and breakdown of production devices (in order to non-conformity of raw material with production requirements). To avoid this problem, suppliers should be capable to adapt themselves towards companies’ requirements. The rest of this paper is organized as follows. Literature review is provided in Section 2. The proposed model is presented in three segments in Section 3. In the first part, weights of the criteria are determined by F-AHP. In the second part, the fuzzy multi-objective model is presented to solve the problem. In the third part, the fuzzy TOPSIS is proposed to obtain the exact priority of suppliers. Section 4 gives the numerical example and explains the results. Section 5 summarizes the conclusions and directions of future researches.